These are grade "A" for color and clarity. Their average size is about 1". They are a nice minty, sometimes a bit more yellow green in their coloring. If you wondered what the dark stuff is, it's Black Tourmaline and/or Epidote needles showing as spots veins or inclusions. 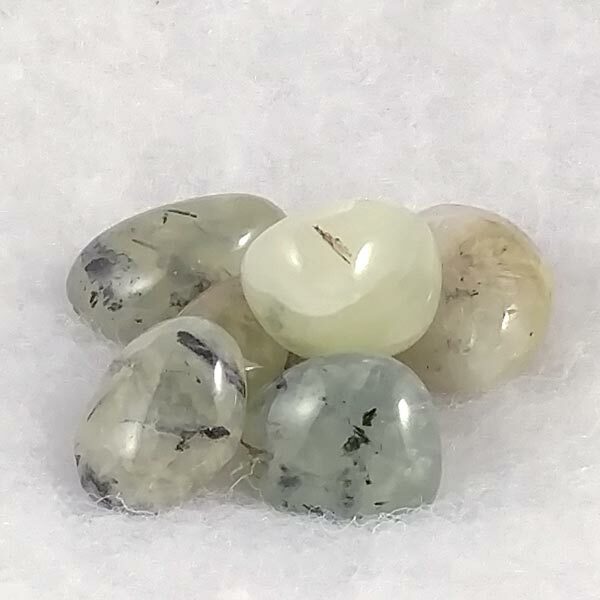 When held by themselves, they are not one of those 'high energy' types, but I have found that in using a small quartz crystal with one will amp things up quite a bit. 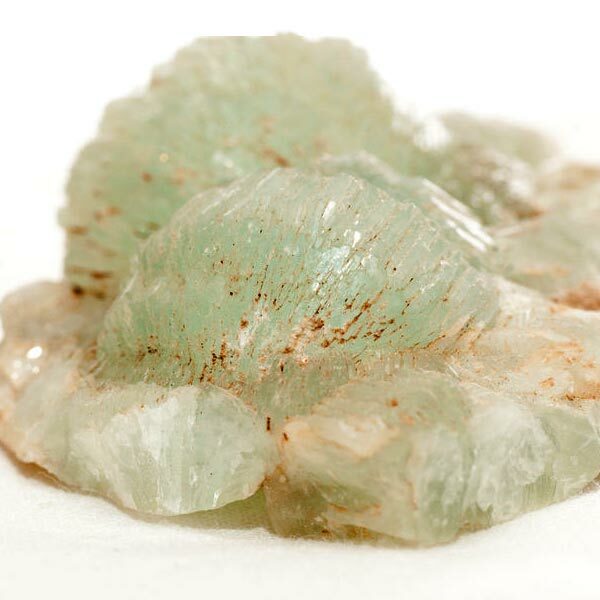 Prehnite encourages our analytical thinking and can speed up the process of sensory perception.